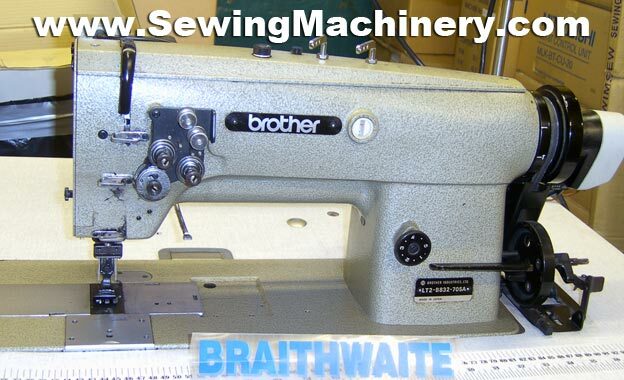 Brother twin needle, needle feed, with auto thread trimmer, auto reverse, complete with needle position motor. Made in Japan by Brother, 3 phase for factory use. Budget machine in good condition and this B832-705 model is being sold for a similar price to basic non-trim model.